Looking young, feeling young and living life of a youth forever. That’s the secret admiration you have for him (Babaji) – The One in form of a human being. Tathagat – living since hundreds of centuries – a yogi brahman who is as good at poetry as the poetry itself – who runs faster than a cheetah and eats lesser than a microbe. Introducing that being who is immortal even though made up of flesh and blood like you – has smell of perfume – lives a life of a nomad. He has his aura flying through the sky (huge aura) and his body following it. He has the charisma to dispel all negativity in a flash and make you tranquil like the deepest waters of ocean. Serenity guaranteed in his company. Unless that happens, you are not with him (real Babaji). To judge the quality of a master, this is the criteria – how well you flow into the core of your own being just by the presence of The Presence – for his physiology and auric field emanates a strong vibration of The Silence which engulfs your wavering confused mind and takes you beyond it to the realm of The Absolute Silence. Mark of a master – remember this. Your encounter to Silence is again bestowed by him without his direct presence here for you are already his disciple since eons. ‘The Babaji’ is one with The One and as all are one with The One – all are his disciples! Never forget this ultimate lesson of oneness and your entry to ‘The Cave’ is guaranteed! 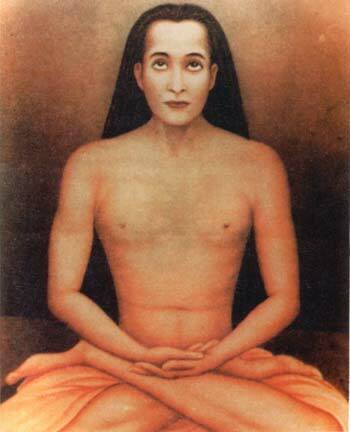 Remember this truth – be it Babaji or Christ – still it’s The One and The Only One. Rivers flow from height to lower grounds naturally. Flame of fire always rises up. Wind always blows away from the higher pressure zone to lower pressure zone. Gravity always pulls things down towards the core. These are observable verifiable scientific facts and so is the existence of Babaji!!! Meet you soon at The Cave!